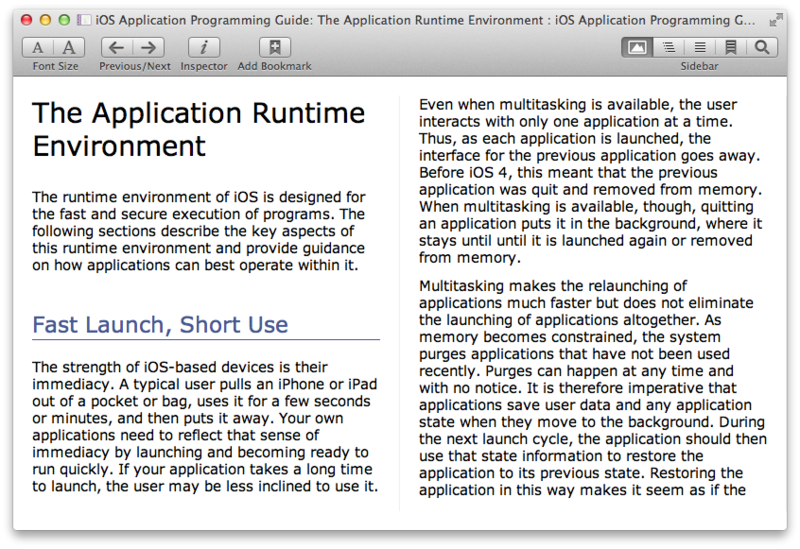 Murasaki is a scroll-based reader like usual web browers, not a page flip-based reader like iBooks. 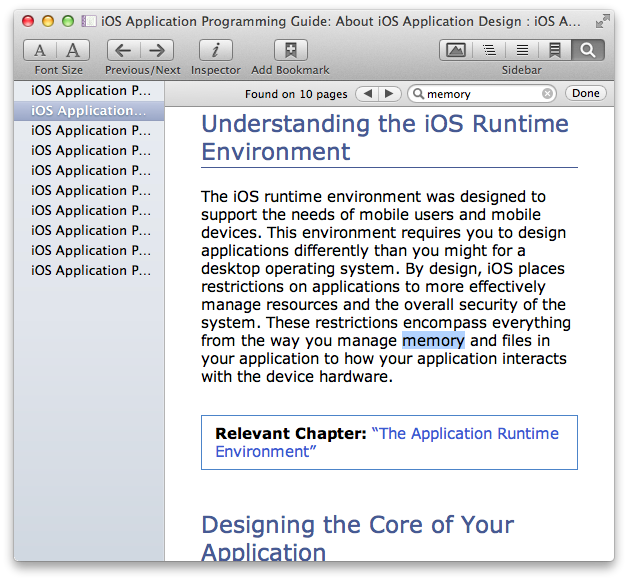 (horizontal writing mode only) Murasaki supports the pagination view mode. This is a hybrid view mode which has both a free scrolling and a snapping to column. 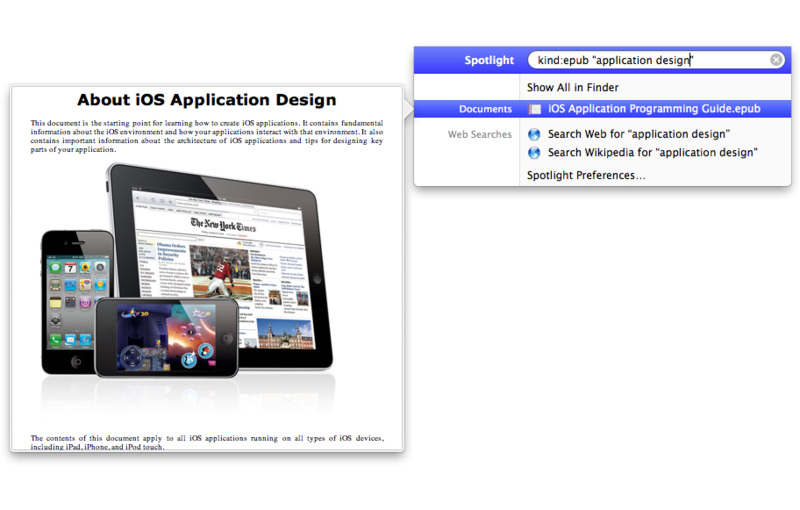 Murasaki supports two-finger swipe gesture to move between contents (Mac OS X 10.7+). 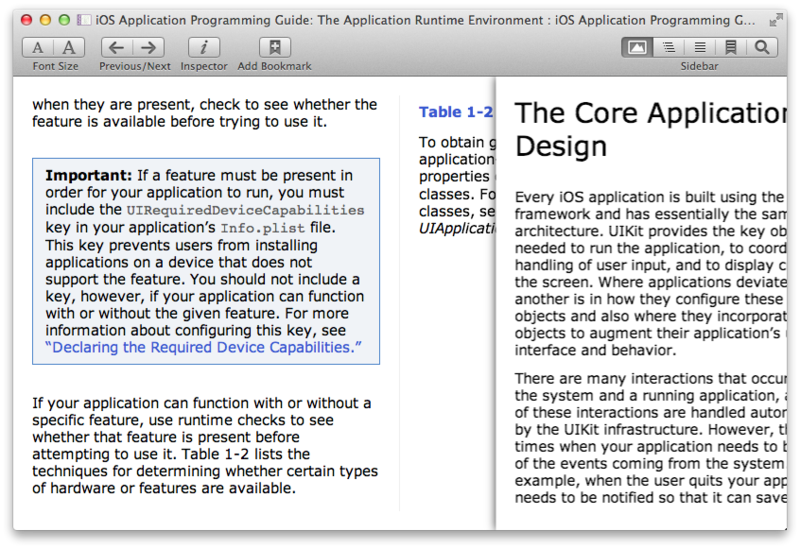 To read through an EPUB, use scroll and swipe gestures on trackpad. 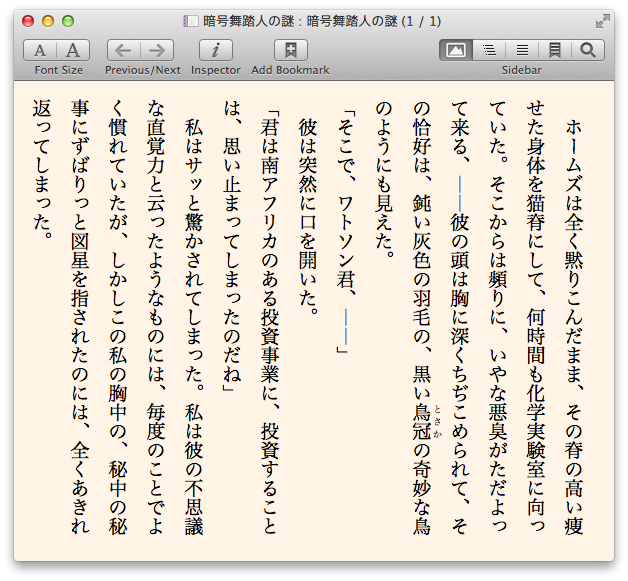 Murasaki can open different EPUBs in multiple windows. 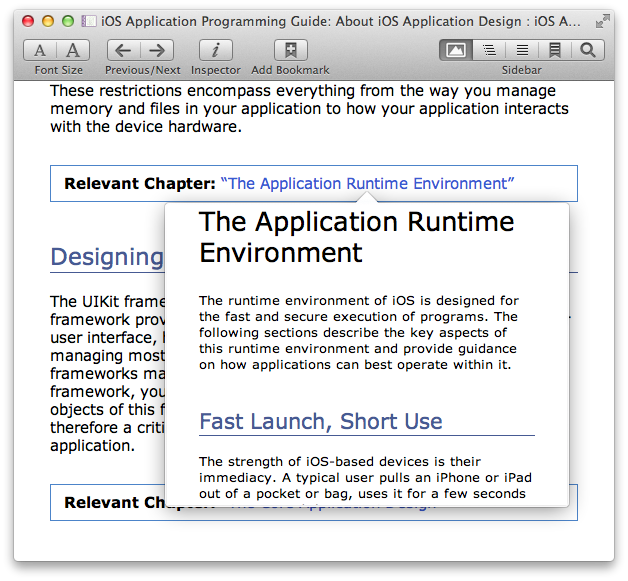 Moreover Murasaki can open different parts of one EPUB in multiple windows at once. By opening a link in a popover, you can check a related page, footnote, and so on quickly without moving page (Mac OS X 10.7+). By opening images in panels, you can read through text with reference to these images. You can search a word that is contained in a EPUB. You can bookmark, and can refer these pages later. 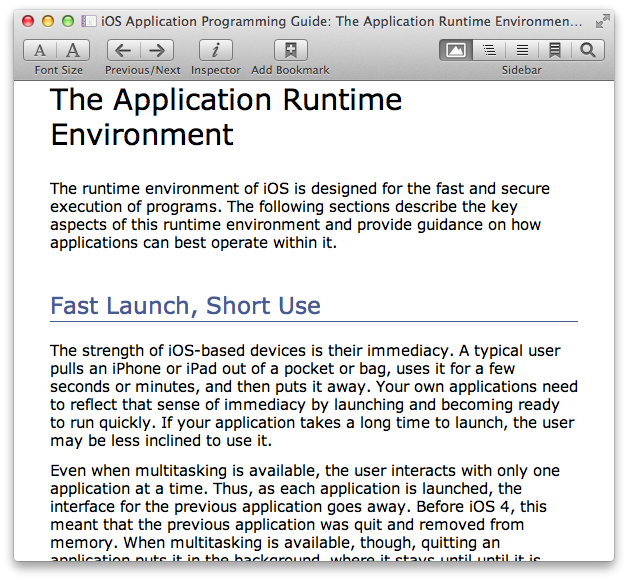 By entering full screen mode, you can view the EPUB contents in full screen (Mac OS X 10.7+). Murasaki can apply user style sheets. You can look up a word in popover dictionary.